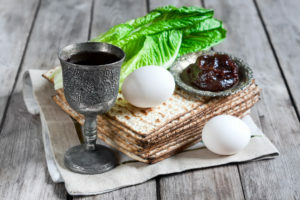 In a primer perfect for beginners, learn about the musical components of the Passover seder and how to sing them like the most seasoned Passover guest. Religious Programming Senior Associate Annie Simon leads the musical instruction with historical context provided by Jessica Herrmann, Master’s Degree candidate in Experiential Education and Jewish Cultural Arts at the George Washington University. Participants will take home digital recordings and sheet music for continued practice.